London-based Acrylicize is a boutique creative agency that combines art and design to create engaging interior experiences from one-off installations to entire interior graphics and large scale architectural features. 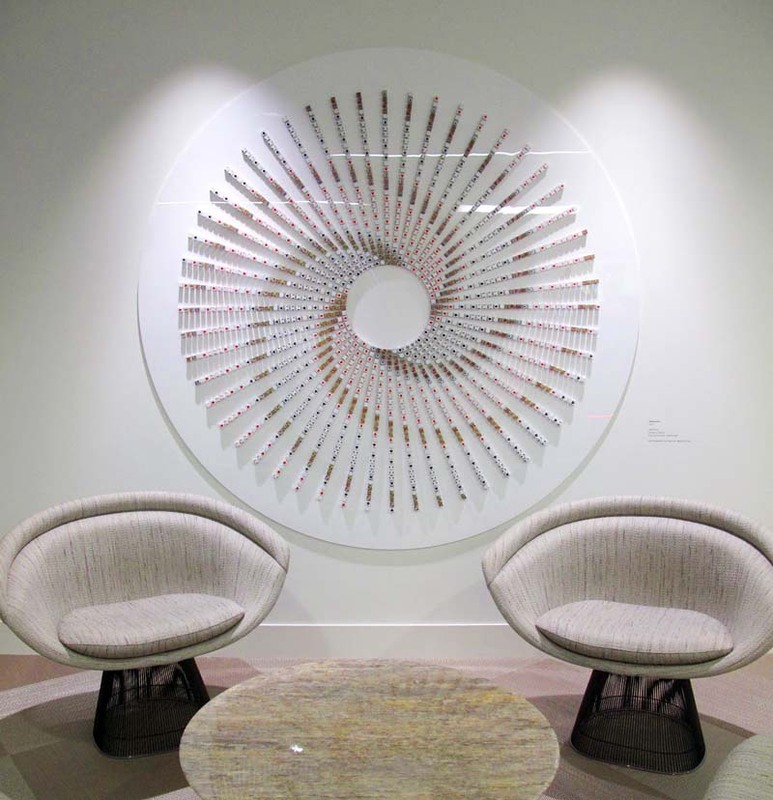 Last spring Acrylicize (originally their work was exclusively made with acrylic) was approached by PokerStars (the world’s largest poker site) to create a custom installation for the reception area of one of their London offices. 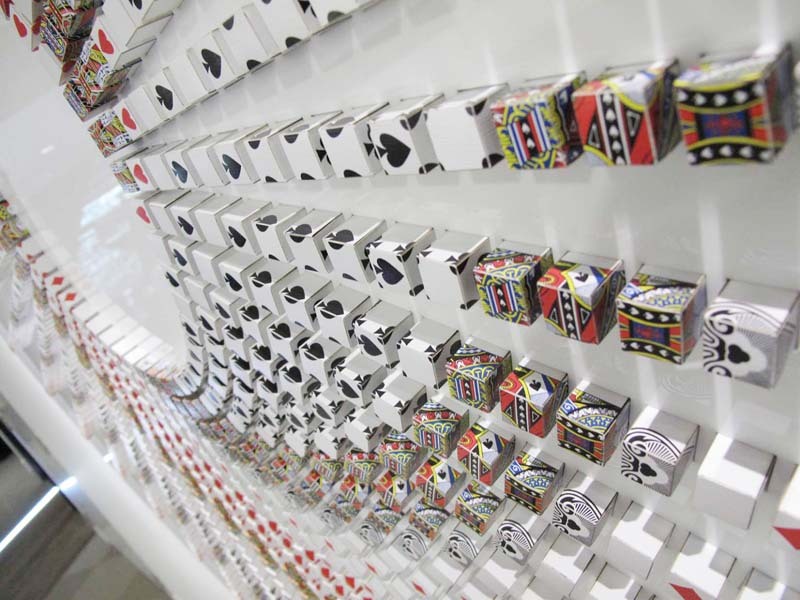 Acrylicize came up with the idea of using materials from the poker world and ultimately decided to use playing cards. Cutting and assembling a large quantity of cards around acrylic cubes, the team placed the cubes into a spiraling sphere resulting in Refraction: a refined piece of abstract art, as well as a nod to the world of Poker playing. Check out more of Acrylicize’s fun work on their site, from a map sculpture made with Monopoly houses to type installations and much more.